Cafehoppingsg was started by Jovena & Kelvin, friends who share a common passion in cafes and travel. Its humble beginnings was ignited by a passion to promote cafe culture, and it found itself a community sharing the love for coffee and good food. Since then, Cafehopping Singapore has grown to be the leading website covering content on cafes, food and travel in Singapore and the region. She fell in love with cafes ever since her first visit to amazing Seoul. She loves the tranquillity and character of a modern coffee place, and wouldn't live a day without coffee. She loves to eat (of course), and would go all starry-eye at the sight of tantalizing dishes. If she has a choice, she would travel for a living. Apart from coffee and cafes, she spends her days indulging in marketing, ultimate frisbee and cats. 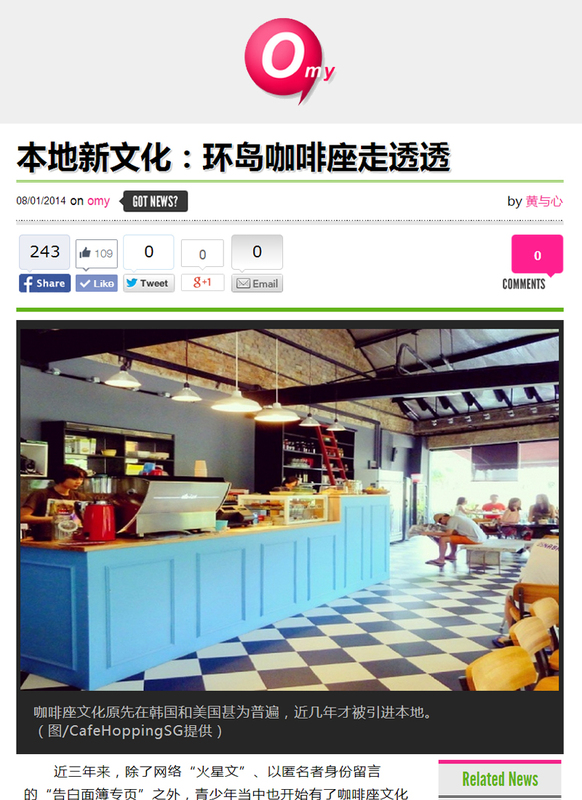 Kelvin loves cafes and has a childhood dream of opening his own cafe in the future. Besides cafes, Kelvin is also interested in design, food, cooking and photography. Every once in a while, he indulges in short road trips to explore the world.